So here are some of the stuff I purchased. I wanted to just buy those two brushes at first, but I was also thinking since I have to pay for postage (which i really hate), mind as well buy more stuff to make the postage worth it. 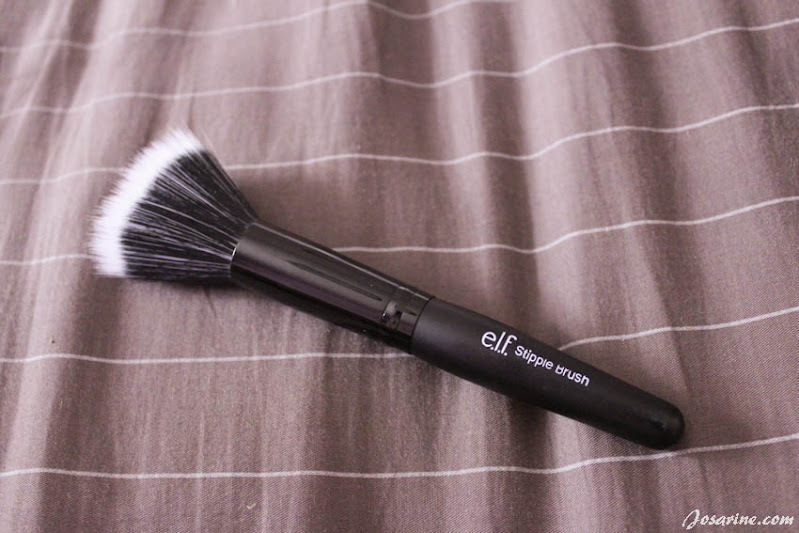 E.L.F Stipple Brush, RM25.00. 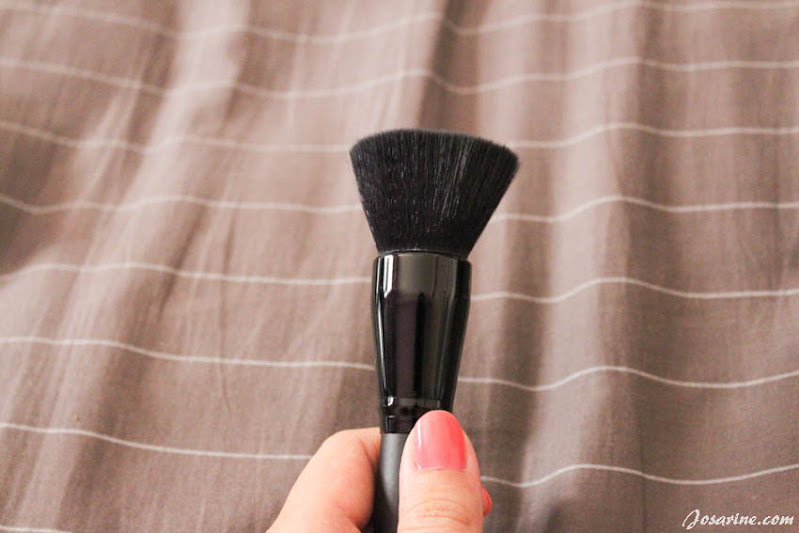 I've been using this brush for blushes, and I've got to say I kinda love it. I know I can use any brush for blushes but I love the results of my blush after using this product. It is like stippling the blush into your skin which gives a very nice and natural look. 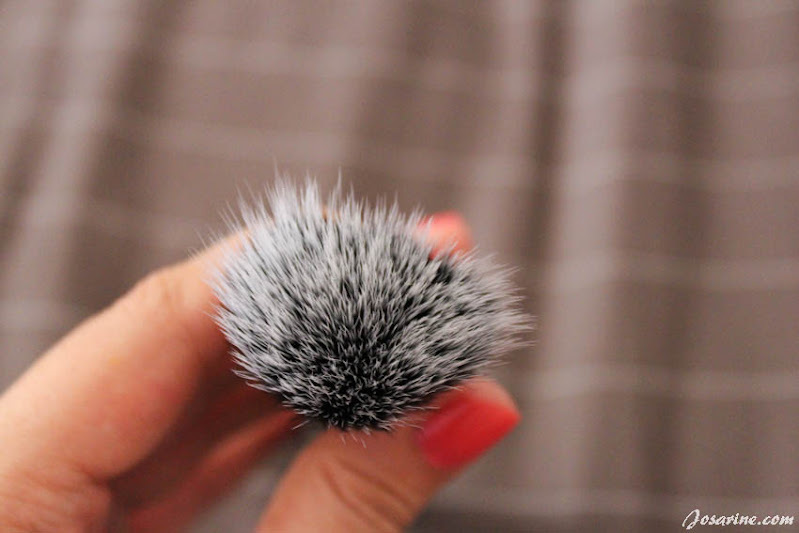 The bristles are average, it isn't very very soft and fluffy but also not too rough for the skin. It does not cause any pain, discomfort, of ticklish feeling. For RM25, I've got to say I'm happy with this product. 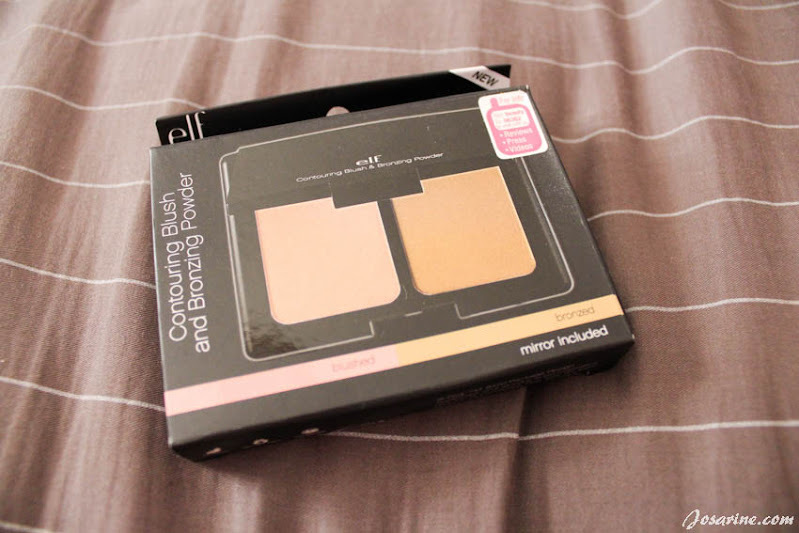 E.L.F Flat Top Brush, RM25. 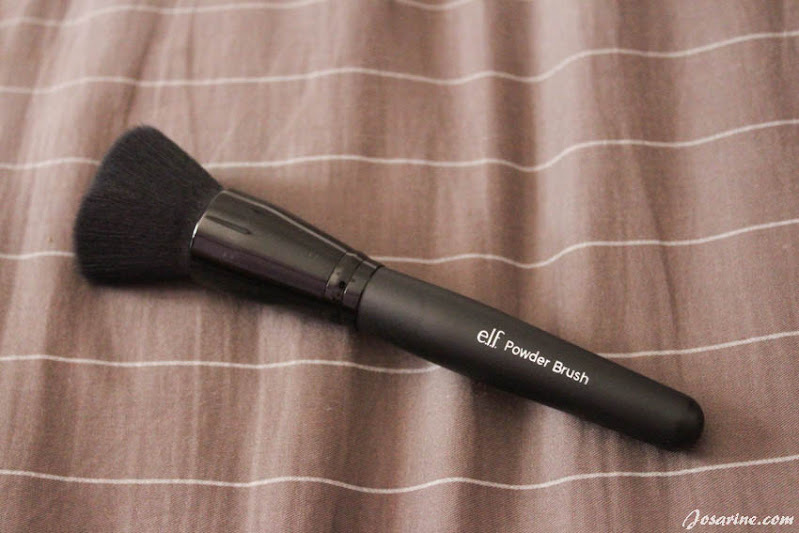 I've seen many beauty YouTubers use the flat top brush, mainly to blend foundation or powder foundation. I wanted to get this for my powder foundation or loose powder. I love the finished look after using this brush! I usually use the powder sponge that usually comes with the powder, but since I got this brush I've been using this instead. It provides a decent coverage without making my face looking cakey. This brush is quite soft and feels a little like touching a teddy bear soft toy. 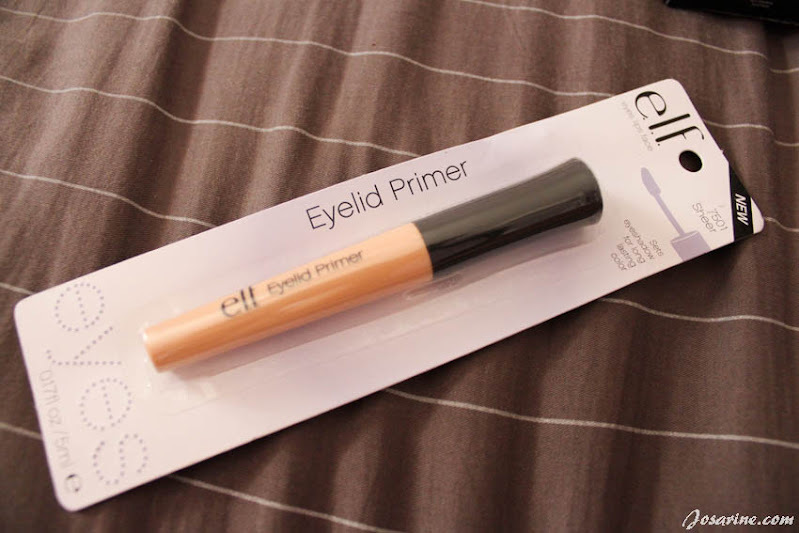 My experience with E.L.F Cosmetics Malaysia online shopping store. One thing that I really dislike about their store is that they do not state the prices for the products. This can be really annoying because you will have to PM them and ask for the price. Can you imagine for every product you want, you comment "How much?". I don't know I just think that it's a waste of time for both the sellers and the buyers. The seller will have to keep replying the PM of the prices and some won't even buy after knowing the prices. The second thing that kinda annoyed me was that I had to wait for 4 days before thy ship the parcel. It was not stated in the terms and condition regarding this. The seller told me that they post on Fridays only, and if you're lucky they will post on a Thursday. However they did mention about not rushing them for the products, but I assumed that was for the Pre-order section since they do ALOT of pre-orders, while I purchased from their Ready Stocks. Other than the two issues above, they are overall an okay online store. Unfortunately so far they are the only ELF store that provides reasonable price. If you know another store selling ELF products that's reasonable at price and quick service PLEASE LET ME KNOW. What to consider before purchasing from them? If you are looking for a gift for a friend, make sure you purchase in advance. However if it's a last minute shopping, it's best you shop elsewhere. I quickly made payment on Sunday night cause I was hoping that they would deliver the next day (cause that's what most stores do, you pay today, delivery the next day). I was very upset when the seller told me they would only post the parcel on Friday. Another thing, when you comment and ask "How much?" on one picture/product, remember to copy the "how much?" so you don't have to type so many times. Another method would be to gather all the products you want and PM the seller one shot. But for this method can sometimes be confusing till you might miss out on certain items that you want if not done carefully. Like I mentioned above, they are an okay store. Unfortunately my first time experience with them was an annoying one. I felt annoyed a few times. 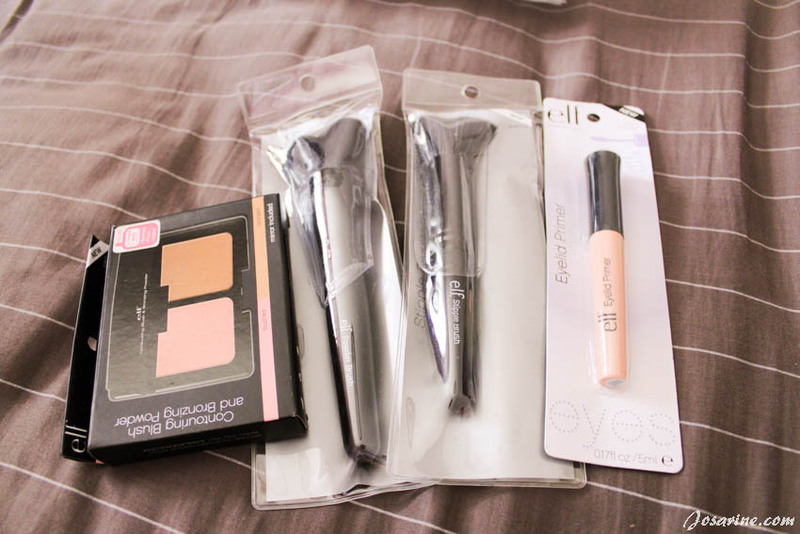 I wanted to add an eye shadow palette to my order, but there was NO PRICE! By the time I PM the seller, she told me it's sold out and the other customer has already made the payment. Their policy is "First pay first receive" something like that. I was so annoyed because first of all there was no price stated, so I had to waste a few minutes of my life to PM the seller and wait for the reply and by the time they reply it's already sold out. Because they provide reasonable pricing. Wonder why it's called E.L.F. What does it stand for? agree..i hate shopping page who need to PM them before knowing the price..it's just too late.. I dl the lightroom in my computer too, but i have no idea how to use it. LOL! hi dear.. u can look in www.lowyat.net forum.. in stuff for ladies.. they can provide better pricing n quicker service cos some it's ready stuff.. enjoy! !